Music is a big part of my life. So were live concerts back in the time when I could afford them in the U.S. When my good friend Lupita invited me to go with her to see one in Mexico, my first concert there, I was super excited. Don't get me wrong about ticket prices in the U.S. I think they are entirely fair given what the internet has done to album profits. Live performances (and composing music scores) are the only ways bands make real money in today's world of Spotify, Pandora and music sharing. I think they're probably underpaid no matter how much they make, given how much pleasure they have given to so many listeners. Unlike politicians, hedge fund managers and software application developers, musicians add real happiness to regular people's lives. There's no class of people I'd rather see filthy rich. The ticket prices just mean that I can only afford a few concerts a year when I'm home. Yuri, the singer we were seeing, has been called "Mexico's Madonna." Her single, "Que Te Pasa?" was the second longest-running female single of all time in the Billboard Hot Latin Songs chart (second to Shakira with "La Tortura"). As late as 2006, her album called Acompáñame was certified gold and Yuri’s Inusual album reached number one in 2010 its first week and became gold in Mexico. Although her prime years were in the late 1980's, I knew as a professional with a 30-year career, she would still be able to put on great show. The concert was held in Mazatláns new convention center in the north of town, but outside the center on an outdoor stage (which was a surprise even to Yuri, as she commented on stage). The singer is a professional. The heat didn't hold her back. She had "buen rollo." and connected well with her audience, which was almost entirely female.Yuri's performance would compare well to any big name act. A video ran behind her. Her costumes and dress changes reminded me of Lady Gaga videos and she worked in special elements into the show. My friend Lupita's favorite part was when Yuri brought two drag queens who were impersonating her on stage and performed a number with them - and they (the drag queens) had great voices! Like Madonna, she had her troop of male dancers and good stage effects. A ticket to see Yuri at an outdoor venue was 650 pesos (about $35 dollars) for very good seats, right behind the VIP section. VIP tickets ran about $1,500 pesos (about $78 dollars) with seating arranged in long tables covered in white linen in front of the stage, rather than individual seats. Sitting in the VIP section would have been like seeing her perform at your wedding. By contrast, a good ticket at Denver's Red Rocks, America's premiere outdoor venue, for say, Foreigner, who like Yuri is an 80's act, cost $90 for a stadium style seat. Red Rock has a capacity is only 9,525. The biggest names don't usually play there unless they are so smitten by the magic of the venue, like Santana is that they don't care (and are as cool as Santana). A decent ticket to Matchbox Twenty at Denver's Pepsi Center, a venue that can accommodate the biggest names, which will start at about $100. The sky's the limit for the biggest acts. In general, you can count on a ticket costing half of what you’d pay at home. Another interesting aspect of the ticket process was that instead of going online to purchase it, I picked up our tickets at an upscale women's wear store next door to where I live. In a good example of Main Street beating out Wall Street, I tried on three dresses while I was there. You can buy tickets online for events in Mexico, but I liked the option of paying cash for the ticket ahead of time. Ticketmaster is loathed by consumers and muscians alike. I would love it if I could buy tickets at an Ann Taylor store. As we waited for the show to start, an excellent opening band played. A server made rounds to collect our drink orders. Notice the price of the beer (cerveza) below. Thirty pesos ($2). Okay. Fair enough. Now look at the price of tequila, rum and cognac. I almost jumped out of my chair. Gee, I don't know, $42 dollars seems like a lot for a shot of tequila, even at a concert. Even while recognizing that the notion of a $42 drink was insane, it was so far outside the bounds of my comprehension that they would sell the liquor by the bottle that I got to believing that maybe that was the price of a single drink. After all, I have paid over $20 for a martini in a bar in the U.S. so why not $42 for a drink at a concert? No, he told me, you take the bottle with you when you leave (you idiot). You purchase a bottle and take the bottle home with you after the concert. Coming from a country that won't even let you leave a restaurant with a paper cup of wine in your hand to walk to a concert a block away, I'm still reeling. The audience sings more at Latin American concerts, not just the refrains, entire songs, which is something I've only seen at Bruce Springsteen concerts back home. If you know all the words to Thunder Road, you know just how good singing the song at a concert feels. I recommend memorizing a few of the most popular Spanish songs so you can join in and endear yourself to some Mexicans. As I mentioned, the opening band was very good. When the concert ended, I'll be damned if they didn't come back, stage right, and play a set even as people had started leaving. They were largely a cover band. Since I know the lyrics of a few of the most popular songs in Spanish, that was particularly a hit with me. About a third of the crowd stayed and danced, working off some of that post-concert high. The car valets didn't have a crowd of a thousand people standing in the parking lot waiting for their cars and people left in controlled waves. My advice? I have written frequently how important it is to make native friends as an expat. I had the extreme good fortune of being invited to this concert by a Mexican girlfriend. If you're living in Mexico for awhile and you see advertisements for what looks like a big show, buy a few tickets, grab your target Mexican (and if you're a woman your abanico), and get ready to have a great time. Related links: It not just rock concerts you'll be able to explore, but rather all types of live performances. To get you in the mood, a little old-fashioned rock and roll by Ariel Rot, "Necesito un Trago," (I Need a Drink). Beware of Mexican convenience stores. They may be just as dangerous as the 7/11's at home. Up Next: Living in Mexico and maintaining your relationships at home. 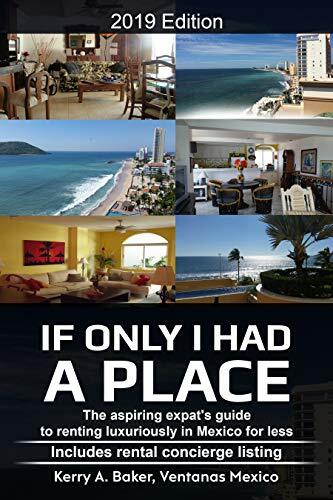 Kerry Baker is the author this blog and has written two books for aspiring expats. 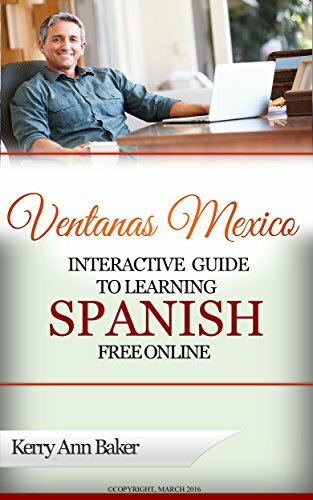 The first is the "Interactive Guide to Learning Spanish Free Online," a curation of the best Spanish tools on the web, and the second, "If Only I Had a Place," a guide to renting luxuriously for aspiring expats as they explore the option of Mexico.